With the small business rate relief (SBRR) changes taking place from April 1st, Studio G at Fenham Hall Studios will be eligible for 100% rate relief for qualifying businesses. Studio G is now available to let at just over £1,000 per month (inc heating electric and service charge) +VAT. For more information click box below. From April 1st 2017, Small Business Rate Relief (SBRR) will double from 50% to 100% and the thresholds will increase to benefit a greater number of businesses. The change means that businesses renting property with a rateable value of £12,000 and below (doubling from £6,000 and below) will receive 100 per cent relief*, while businesses with a property with a rateable value between £12,000 and £15,000 will receive tapered relief. In the North East, up to 30,000 businesses could be eligible for this saving (small businesses with 2-19 employees that are most likely to rent business space of this value), amounting to a combined potential saving of £177,000,000 should all of these businesses fully benefit from the scheme. As a landlord, our office tenants will be affected by the change. Peter Lambert, Managing Director of Fenham Hall Studios, said: “Until now, only those renting the smaller of our self-contained offices in the grounds of Fenham Hall have benefited from 100 per cent small Business Rates Relief, but the new Rating thresholds mean tenants in the larger units will now also be eligible for 100 per cent Small Business Rates Relief. This is great news for growing businesses or businesses relocating to the North East that will now have access to quality accommodation for less. *100% relief will not apply if the business has other offices which take the total space over the £12,000 Rateable Value (RV) threshold. Studio G Fenham Hall Studios with 100% rates relief available all-in at just over £1,000 per month (inc heating electric and service charge) +VAT. Studio G is a self-contained office on the first floor of a modern office building in the grounds of Fenham Hall (below). Further details of the available accommodation can be found at www.fenhamhallstudios.com or from Peter Lambert: email: info@peterlambert.co.uk. 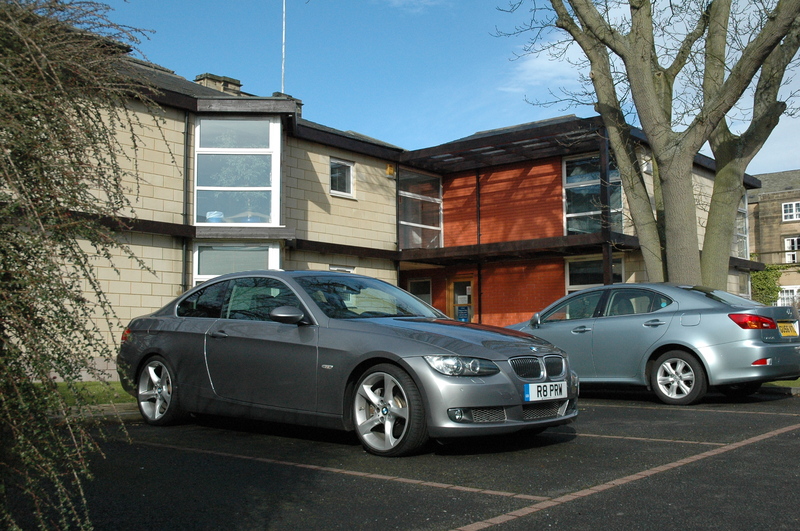 Newly refurbished self-contained offices to let in the grounds of Fenham Hall, a historic setting close to Newcastle City Centre and only 5 minutes by car from the A1(M). Offices with secure parking, an array of local amenities and excellent bus links to Newcastle City Centre and the wider Tyneside conurbation. Register your interest below and we'll keep you up-to-date on what's happening at Fenham Hall Studios. 1. Website and Particulars: This website and any particulars available for download are not an offer or contract, nor part of one. You should not rely on statements by the Agents or in the particulars or by word of mouth or in writing or that any such "information" is factually accurate about the property, its condition or its value. Neither Fenham Hall Studios nor any joint agent has any authority to make any representations about the property, and accordingly any information given is entirely without responsibility on the part of the agents, seller(s) or lessor(s). 2. Photos etc: The photographs show only certain parts of the property as they appeared at the time they were taken. Areas, measurements and distances given are approximate only. 3.Regulation etc: Any reference to alterations to, or use of, any part of the property does not mean that any necessary planning, building regulations or other consent has been obtained. A buyer or lessee must find out by inspection or in other ways that these matters have been properly dealt with and that all information is correct. 4.VAT: The VAT position relating to the property may change without notice.